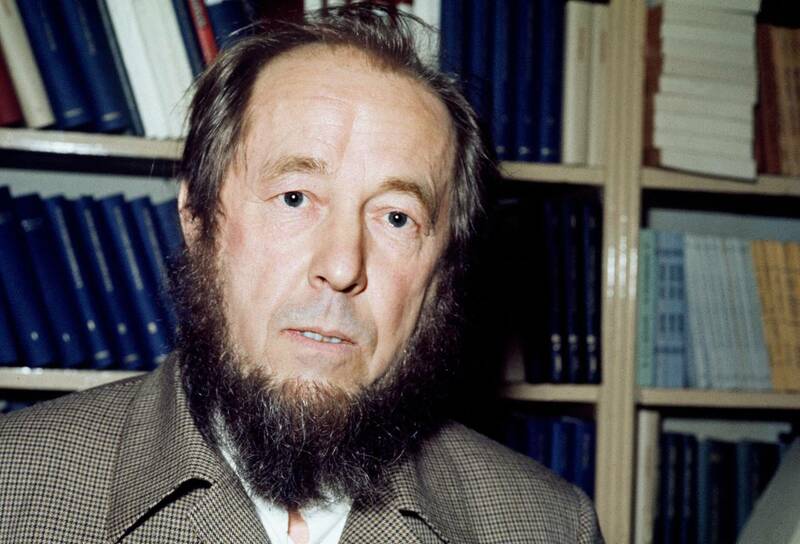 For Solzhenitsyn, Moscow evoked two challenging periods of his life: his prison years (1945-1949) and years of persecution for his writings (1965-1974). 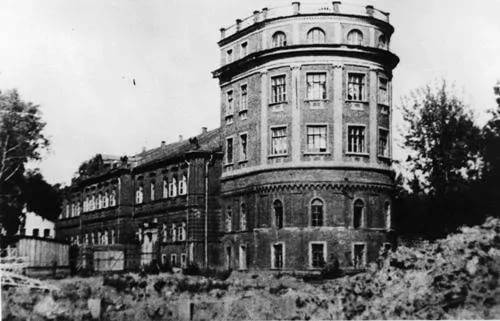 In 1945, Solzhenitsyn, as a prisoner, built residential buildings for Soviet intelligence officers at Kaluzhskaya zastava. 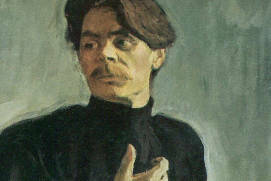 He later depicted his experiences related to this period in the novel The First Circle. In 1949, Solzhenitsyn was sent to Steplag (Kazakhstan). The days spent in this labor camp are depicted in the world-known short story One Day in the Life of Ivan Denisovich. 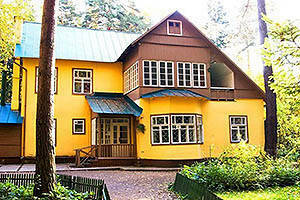 Following the launch of the persecution campaign against Solzhenitsyn, he would often stay in the summerhouse of his friend, Korney Chukovsky, in Peredelkino. On 12 February 1974 Solzhenitsyn was arrested, charged with treason and deprived of citizenship. He spent the night before his expulsion from the Soviet Union in Lefortovo Prison. Solzhenitsyn returned to Russia on 27 May 1994. 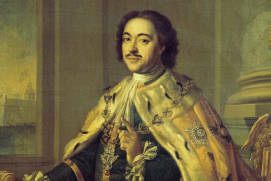 He lived in Sosnovka-2 state summerhouse, situated in the Troitse-Lykovo Natural Reserve. Alexandr Isayevich Solzhenitsyn (1918-2008) was a great Russian writer, public and political figure, as well as a winner of the Noble Prize in Literature. 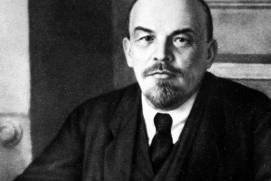 It was through his works that the public began to understand the history of the rise of communism in Russia. Solzhenitsyn’s famous work, “The Gulag ArchipelagoRussian: Arkhipelag GULAG or Архипелаг ГУЛАГ”, his other novels and short stories published in the 1960-70s shattered the belief in the communist utopia, and paved the way for future changes. Solzhenitsyn’s creative work is diverse and distinctive, with the focus being on ethics and moral virtue. Solzhenitsyn’s philosophy is embodied in the quote: “A person is given not only life but also conscience, but only once”. Moscow is linked with two particularly challenging periods in the writer’s life. 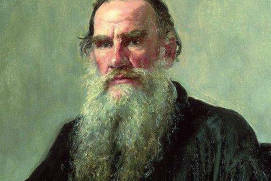 After being arrested, he spent the period from 1945 to 1949 in Moscow prisons and doing community service. 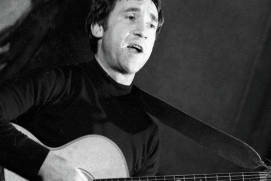 1965 to 1974 was another difficult time, with significant literary harassment and bullying, culminating eventually in the removal of his Soviet citizenship which led to his deportation. 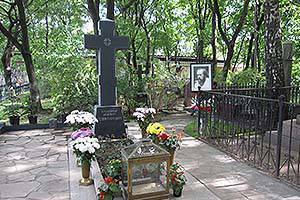 The writer is buried in Moscow in the Donskoy MonasteryRussian: Donskoy monastyr or Донской монастырь cemetery. 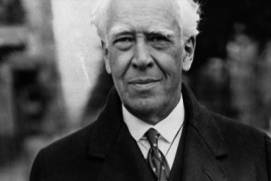 After his return to Russia, he spent the last 14 years of his life in Moscow. Alexandr Solzhenitsyn was born in 1918 to a peasant family in Kislovodska spa city in Stavropol Krai in the North Caucasus region of Russia which is located between the Black and Caspian Seas. 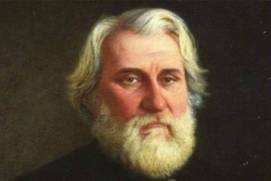 He spent the early years of his life in Rostov-on-Dona port city and the administrative center of Rostov Oblast and the Southern Federal District of Russia, where he studied at the Physics and Mathematics Department of the Rostov university. 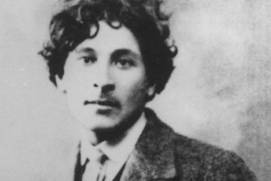 Even in his youth, he was interested in revolution and scientific communism. 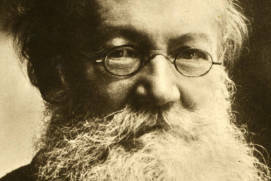 He started writing about the history of World War I, and did an advanced course at the Moscow Philosophy, Literature, and History InstituteRussian: Moskovskiy institut filosofii, literatury i istorii or Московский институт философии, литературы и истории. 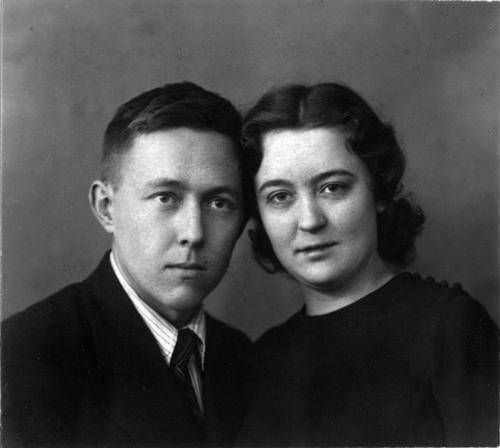 In 1940, Solzhenitsyn married Nataliya Reshetovskaya (1919-2003). 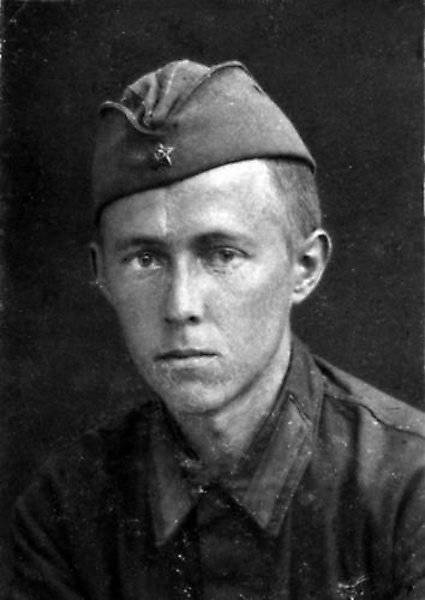 In October 1941, Solzhenitsyn was conscripted to the army as a private. Later, he became a sound location battery commander and was awarded the Order of the Red Star and the Order of the Patriotic War, 2nd Class. On 9 February 1945, Solzhenitsyn was arrested. 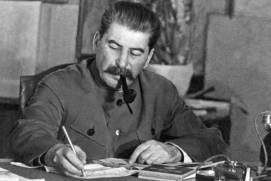 Correspondence where he criticised Stalin’s practices, comparing them to serfdom laws and expressing the intent to create an “organisation” to restore “Lenin’s” norms came to the surface after the war. Solzhenitsyn was stripped of his rank and sent to the Lubyanka PrisonRussian: Lubyanskaya tyurma or Лубянская тюрьма (2, LubyankaRussian: Лубянка str.) in Moscow. It was the most dreadful prison in the USSR. The inmates were completely fenced off from the rest of the world, and there was no escape. Nikolai BukharinSoviet politician and prolific author on revolutionary theory, Raoul Wallenberga Swedish architect, businessman, diplomat and humanitarian, Osip Mandelshtama Russian poet and essayist, Boris Pilnyaka Russian writer, Sidney Reillya secret agent of the British Secret Service Bureau, Boris Savinkova Russian writer and revolutionary, Nataliya Satsa Russian stage director who ran theaters for children for many years and many others served their sentences in this notorious prison at different times. 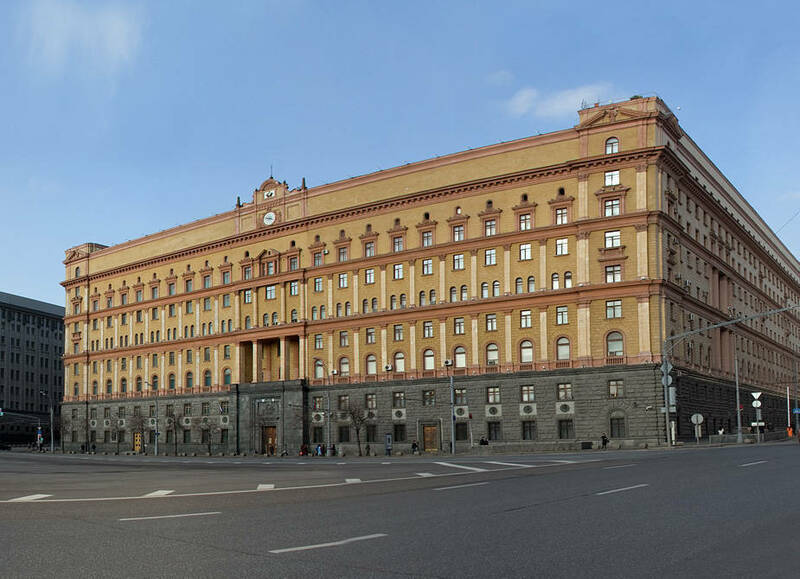 From 20 February to 25 May 1945, Solzhenitsyn was tormented with interrogations in Lubyanka. The Special Council overseeing his case sentenced Solzhenitsyn to 8 years in a forced labour camp and a lifelong exile afterwards. 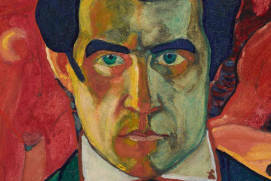 His wife Natalia was obliged to divorce him on paper. This period marked the start of a time of loneliness and troubles for Solzhenitsyn. 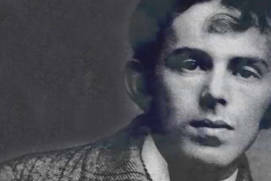 In August, he was sent to a labour camp located close to New JerusalemRussian: Novy Ierusalim or Новый Иерусалим (Moscow regionRussian: Moskovskaya oblast' or Московская область, IstraRussian: Истра). 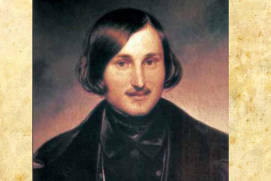 His impressions of the camp and the inmates’ work on a construction site in Moscow inspired his short story “The Republic of LabourRussian: Respublika truda or Республика труда” (initially titled “The Deer and ShalashovkaRussian: Olen i shalashovka or Олень и шалашовка”, 1954). On 9 September 1945, Solzhenitsyn was transferred to a labour camp in Moscow. 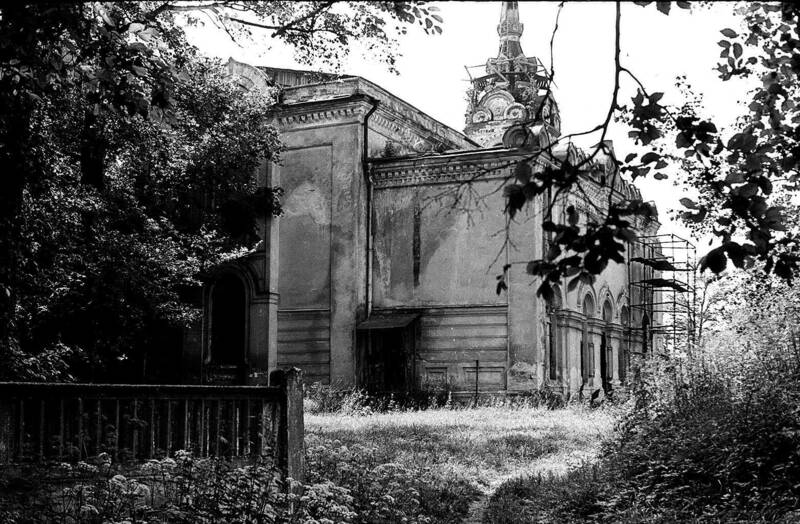 Together with other inmates, he built residential buildings around the Kaluzhskaya toll-gateRussian: Kaluzhskaya zastava or Калужская застава for Soviet special services employees and state officials (Gagarina SquareRussian: ploshchad Gagarina or площадь Гагарина at present). 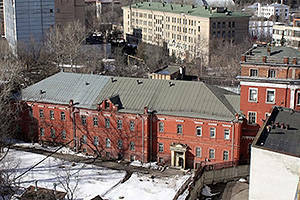 In his novel “The First CircleRussian: V kruge pervom or В круге первом”, Solzhenitsyn describes the way his character, inmate Gleb Nerzhin, inlays the floor in one of these buildings. In June 1946, Solzhenitsyn was transferred to a system of special prisons of the 4th MIA special division, the so-called “sharashka”. “Sharashkas” were the nickname of the special enterprises (design bureaus and institutions) where highly qualified inmates worked. They emerged after the campaign of arrests of “national enemies of the economy”. 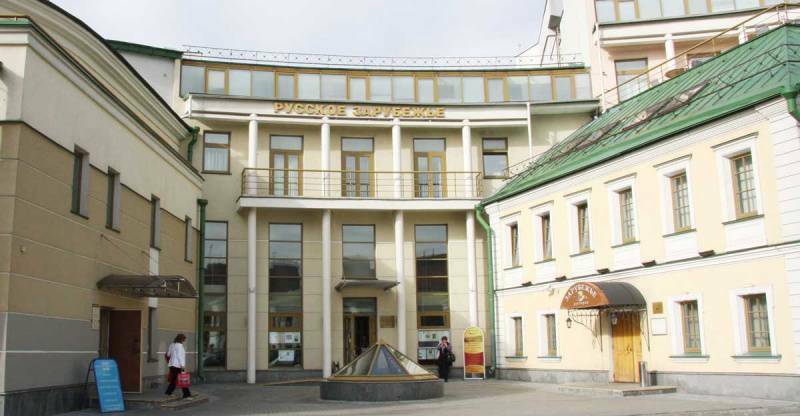 The first “sharashka” for Solzhenitsyn was a closed design bureau affiliated with the plant producing aircraft engines in Rybinskthe second largest city of Yaroslavl Oblast. 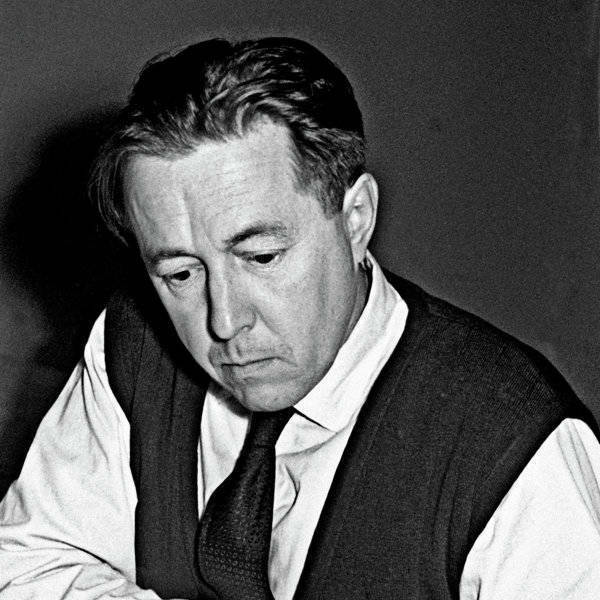 From 9 July 1947 to 1949, Solzhenitsyn worked as a mathematician in a “sharashka” in MarfinoRussian: Марфино (Moscow). Scientists in the Marfino “sharashka” were developing radio intelligence equipment, voice encryption devices, as well as conducting cryptanalysis of telephone talks. 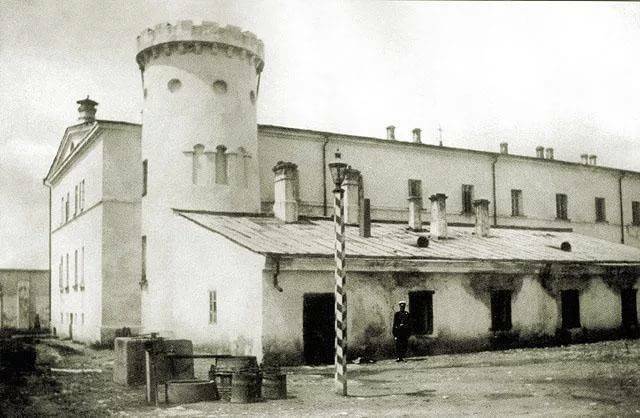 At that time, the organisation was called Special Prison #16 of the MIA of the USSRRussian: Spetstyurma № 16 MVD SSSR or Спецтюрьма № 16 МВД СССР. 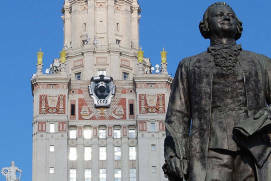 It was located at 25, BotanicheskayaRussian: Ботаническая str. 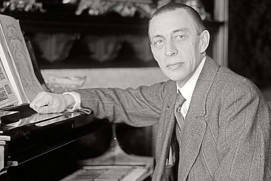 and was created in 1947 on the premises of the former Alexander-Mariinsky orphanageRussian: Aleksandro-Mariinskiy priut or Александро-Мариинский приют. Well-known engineers Valentin Glushko, Sergei Korolev, Robert Bartini, Nikolai Polikarpov, and Andrei Tupolev worked in similar conditions in other “sharashkas”. 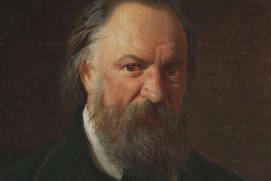 In Marfino, Solzhenitsyn worked on the autobiographical poem “DorozhenkaRussian: Дороженька” and a piece of prose titled, “Love the RevolutionRussian: Lyubi revolyutsiyu or Люби революцию”. 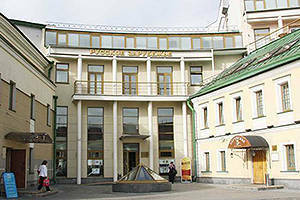 At present OAO Avtomatika ConcernRussian: OAO «Kontsern «Avtomatika» or ОАО «Концерн «Автоматика» (JSC) is located at 25, Botanicheskaya street. This institution was created on the basis of “sharashka” 38, and those who worked there have been awarded the Lenin and State Prizes. Governmental special communication, “nuclear briefcases”, satellite and space communication systems as well as equipment for operating submarines and aeroplanes are among the technologies developed here. 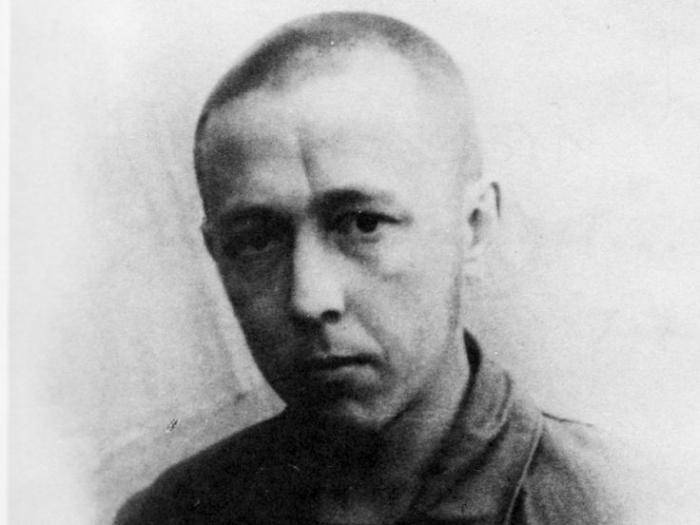 On 19 May 1950, Solzhenitsyn was transferred to the Butyrskaya prisonRussian: Butyrskaya tyurma or Бутырская тюрьма (45, NovoslobodskayaRussian: Новослободская str. ), following a conflict with the “sharashka” authorities. 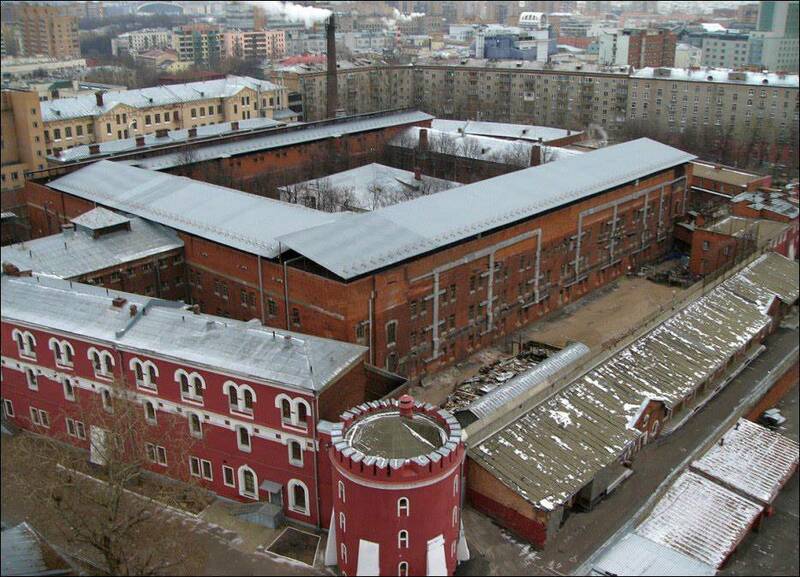 The notorious prison ButyrkaRussian: Бутырка was built under Catherine IIEmpress of Russia from 1762 until 1796, the country's longest-ruling female leader and its most renowned by architect M. Kazakov. 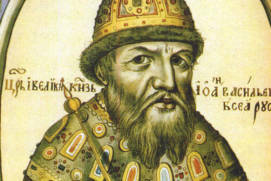 Legend has it that its first inmate was Emelyan Pugachev (a Don Cossack who led the Peasants’ War of 1773-1775). Later, it was used as a holding facility for inmates awaiting a trial. At the peak of Stalin’s reprisals, it was at capacity. Up to 140 inmates were held in standard cells with 25sqm floor space. 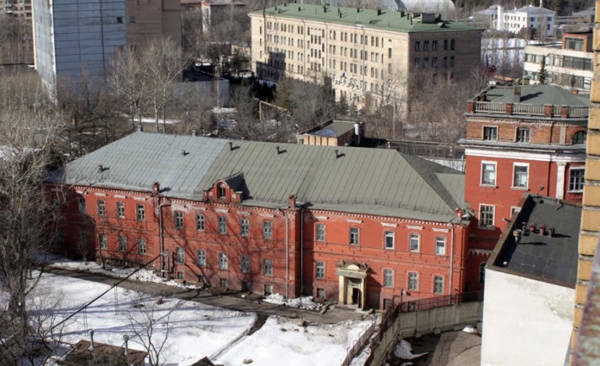 At present it is the #2 Pretrial Detention Facility of the Moscow office of the Administration of the Federal Service for the Execution of Sentences of Russia. 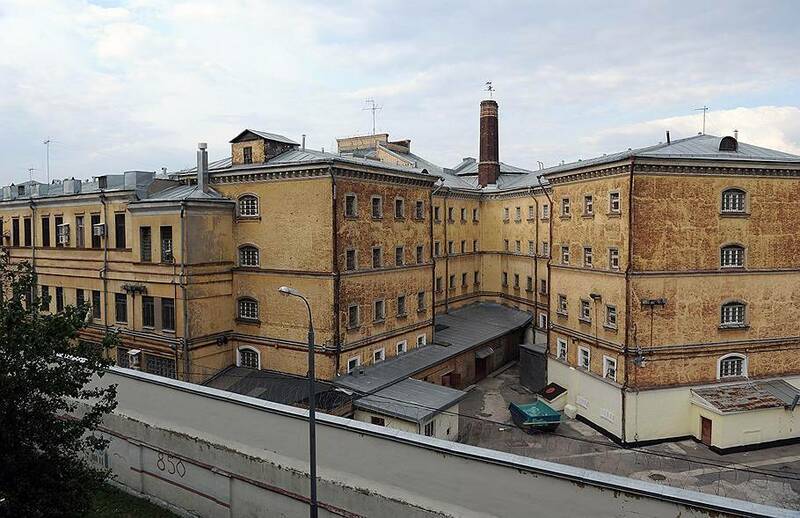 From the holding prison, (11, 1st Silikatny PassageRussian: Pervyi Silikatnyi proezd or Первый Силикатный проезд) Solzhenitsyn was sent to SteplagRussian: Степлаг (a special labour camp in the town of Ekibastuz, northern Kazakhstan) in August 1949. Life in this camp was depicted in the story “One Day in the Life of Ivan DenisovichRussian: Odin den Ivana Denisovicha or Один день Ивана Денисовича”; the inmates’ strike served as the basis for the screenplay for “Tanks Know the TruthRussian: Znayut istinu tanki or Знают истину танки”. 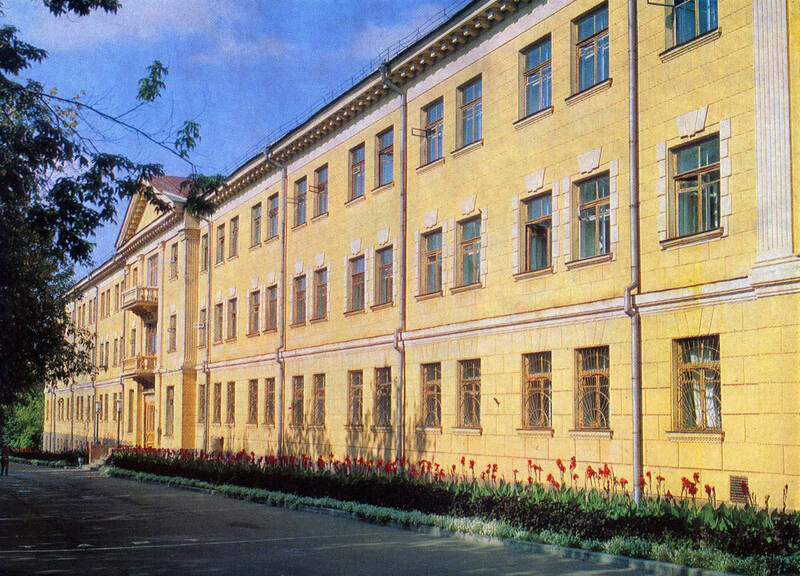 After Stalin’s death in 1953 and Solzhenitsyn’s subsequent release, he worked in a school named after Kirova city and the administrative center of Kirov Oblast, located on the Vyatka River in the village of Birlik (Southern Kazakhstan). He also recovered from a bout of cancer; after he finished convalescing, Solzhenitsyn moved to the Vladimir regiona federal subject of Russia located in the center of the European part of the country where he worked at a local school. 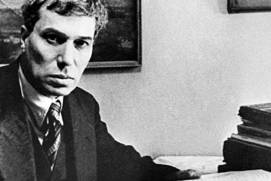 Later, he lived in Ryazana city located on the Oka River 196 kilometers southeast of Moscow. His wife was able to return to him and they remarried in 1957 in Ryazan. In the same year, he was officially accepted as a citizen. 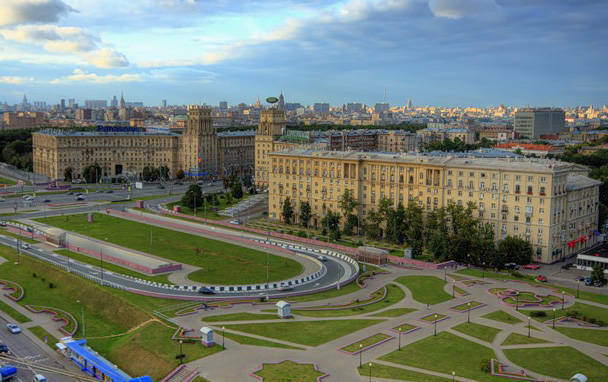 Along with the heritage of world-famous people and great museums, there are many attractions in Moscow, which are not so popular, but still very remarkable. Beautiful temples in the Orthodox style, the unusual architecture of the Russian Middle Ages or the recent Soviet era, ballet and drama theaters – on our website you can learn more about what to see in Moscow. In 1959, Solzhenitsyn wrote his most famous short story “One Day in the Life of Ivan Denisovich” (“Shch-854Russian: Щ-854”). 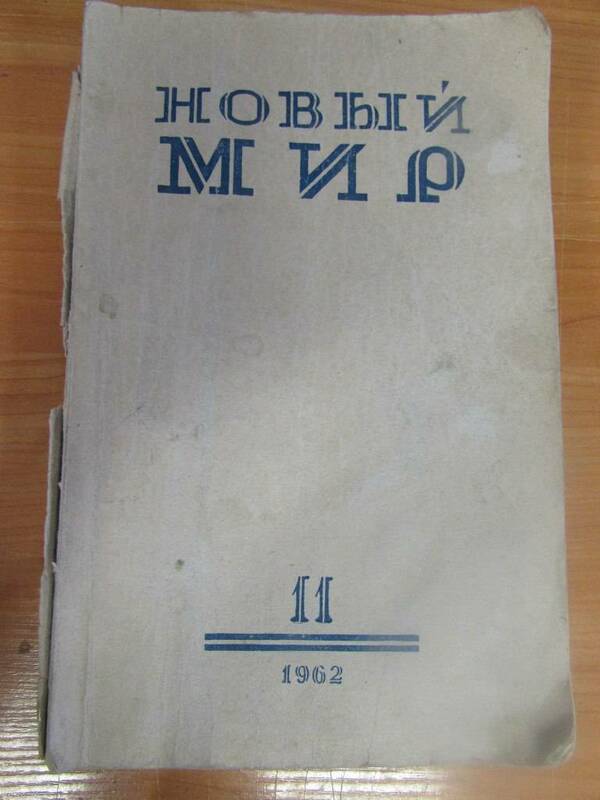 In 1961, during the so called “Khrushchev’s Thawthe period from the early 1950s to the early 1960s when repression and censorship in the Soviet Union were relaxed”, the short story was published in the newspaper “Novy mirRussian: Новый мир” on the initiative of editor Alexander Tvardovskya Soviet poet and writer and with the consent of the head of the Communist Party, Nikita Khrushchev. On 30 December 1962, Solzhenitsyn was admitted to the Union of Soviet Writers. 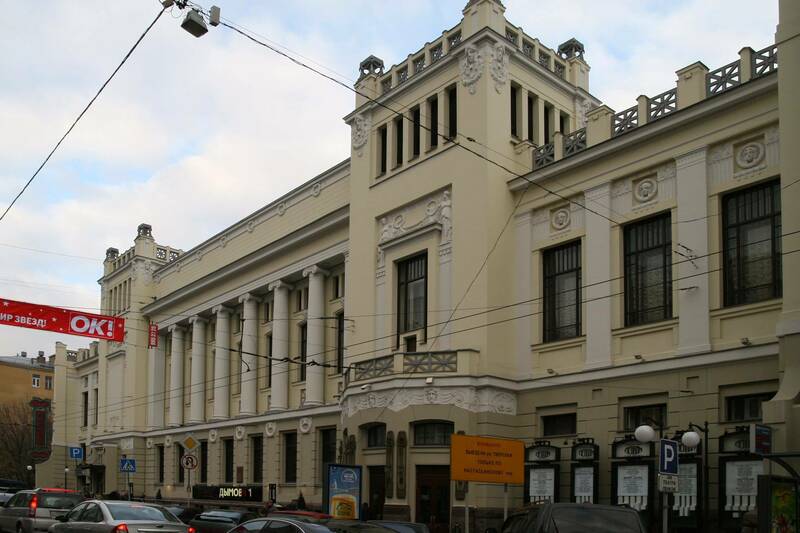 His play “Candle in the WindRussian: Svecha na vetru or Свеча на ветру” was intended to be staged at Lenin’s Komsomol TheatreRussian: Teatr imeni Leninskogo komsomola or Театр имени Ленинского комсомола in Moscow (6, Malaya DmitrovkaRussian: Малая Дмитровка str.). 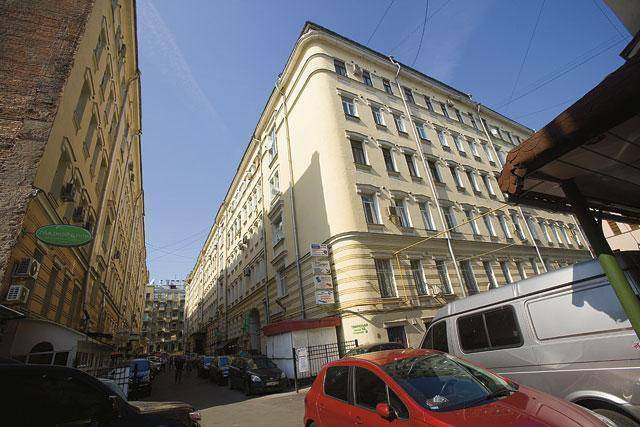 Solzhenitsyn arrived in Moscow at the invitation of the editor of the New World, A. Tvardovsky and lived there at 17, 1st Truzhenikov side streetRussian: Pervyi Truzhenikov pereulok or Первый Тружеников переулок. 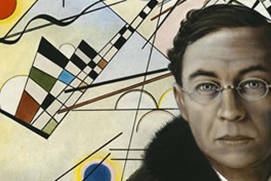 At that time, the writer’s works became more critical and revealed more of the writer’s thoughts. After Khrushchev was dismissed from power, an overt struggle against Solzhenitsyn began. 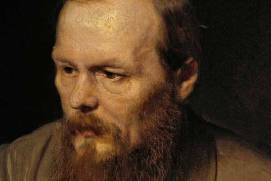 He was deprived of any opportunity to publish his works. 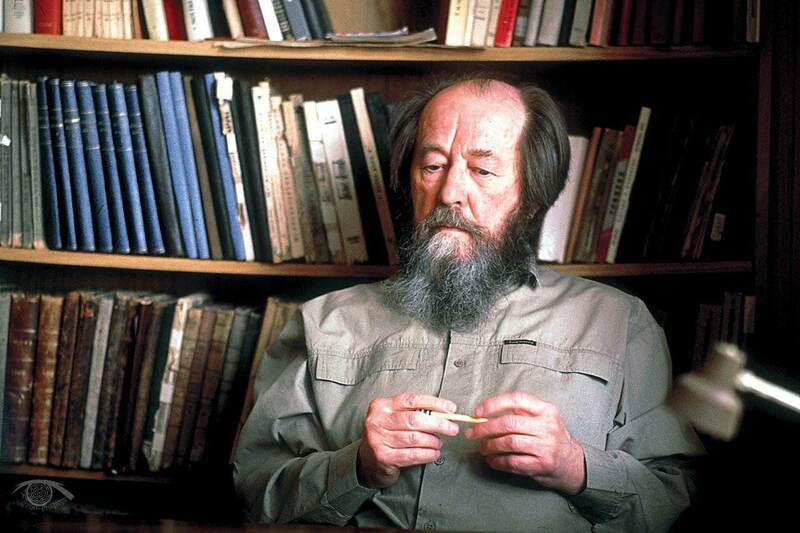 In September 1965, the KGB withdrew the writer’s archive from the flat whose owners Solzhenitsyn had entrusted to keep his manuscripts (the novel “The First Circle”, poems, and plays written in the labour camps). It was a bitter blow. 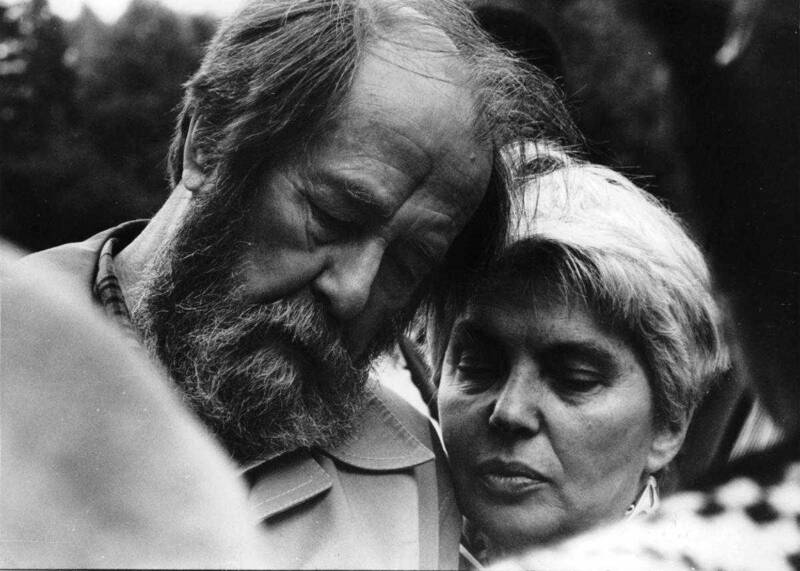 During that difficult time, Solzhenitsyn received support from Korney Chukovskyone of the most popular Russian children's poets, whom he had met in June 1963. 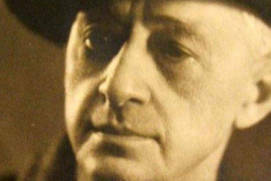 Chukovsky rated Solzhenitsyn’s creative work highly; he wrote the first ever review of Solzhenitsyn’s short story “One Day in the Life of Ivan Denisovich” called “A Literary MiracleRussian: Literaturnoe chudo or Литературное чудо”. 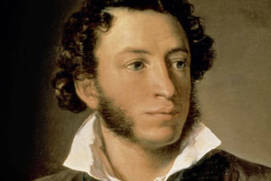 After the capture of his archive, Solzhenitsyn lived for long periods in Chukovsky’s summer house in PeredelkinoRussian: Переделкино (3, Serafimovicha strRussian: ulitsa Serafimovicha or улица Серафимовича., writers’ town Peredelkino, Leninsky districtRussian: Leninskiy rayon or Ленинский район, Moscow region). Solzhenitsyn recalled: “In those days K.I. 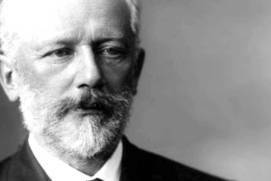 Chukovsky offered me shelter (which took fearlessness indeed). It helped and encouraged me a lot. 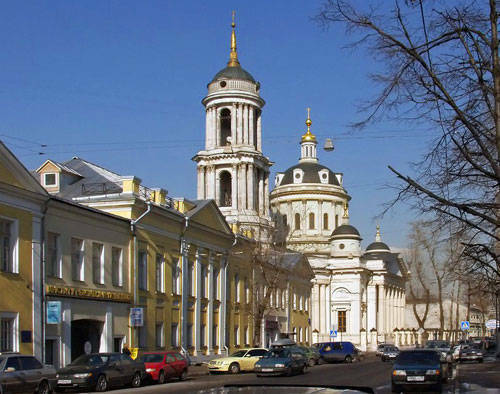 I was afraid of living in Ryazan: it was easy to stop me from leaving the place, they could capture me silently and unaccountably: it could always be put down to self-will or the local state security agents’ “mistake”. 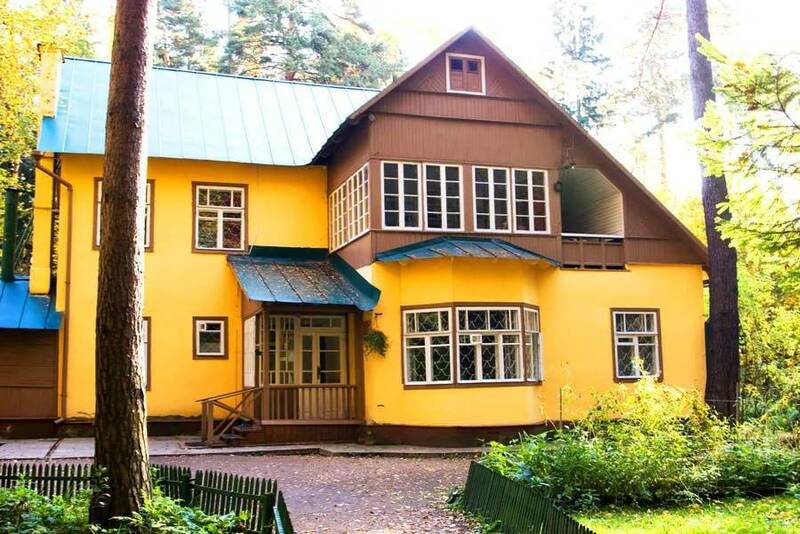 In Chukovsky’s summer house in Peredelkino a “mistake of agents” like this was impossible. I walked under the dark vaults of needle-leaved [trees] for hours on end, with a hopeless heart, vainly trying to think my condition over and – more importantly – to reveal the ultimate meaning of the hardships I was going through”. In the late 1960s – 1970s, Solzhenitsyn overtly confronted communist ideas, the USSR policy, gave interviews to foreign journalists, had numerous meetings and gave public speeches. 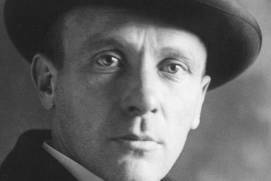 On 24 October 1966, he recited extracts from his works in the Kurchatov Atomic Energy InstituteRussian: Institut atomnoy energii im. Kurchatova or Институт атомной энергии им. 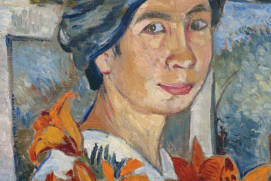 Курчатова (1, Akademika Kurchatova SquareRussian: ploschad Akademika Kurchatova or площадь Академика Курчатова). His “Letter to the CongressRussian: Pismo s'ezdu or Письмо съезду” of the Union of Soviet Writers of 1967 (written in Peredelkino too) is particularly well-known. 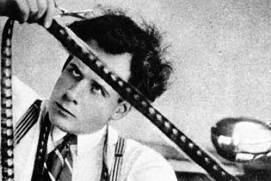 In the letter, he demanded the abolishment of censorship. His works stared spreading in western countries and in “samizdata key form of dissident activity across the Soviet bloc in which individuals reproduced censored and underground publications by hand and passed the documents from reader to reader”. 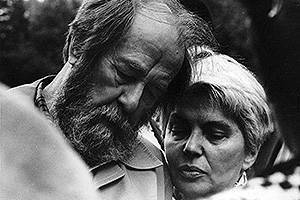 In 1968, Solzhenitsyn met Nataliya Svetlova (born 1939) and developed a close bond with her which led to a romance. When Solzhenitsyn’s spouse Natalia Reshetovskaya found out about this, she tried to commit suicide. 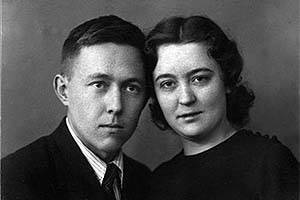 Only in 1973 did Solzhenitsyn manage to get divorced and marry Nataliya Svetlova. This marriage produced three children – Yermolay (born 1970), Ignat (1972), and Stepan (1973). In 1986, Solzhenitsyn’s novels “The First Circle” and “Cancer WardRussian: Rakovyi korpus or Раковый корпус” were published abroad. In August 1968, Solzhenitsyn met Andrei Sakharov – a Soviet theoretical physicist, academic at the Academy of Sciences of the USSR, one of the creators of the first Soviet hydrogen bomb, public figure and human rights campaigner. They remained in touch and Sakharov supported Solzhenitsyn when he was expelled from the Union of Soviet Writers in November 1969. In 1970, Solzhenitsyn won the Nobel Prize in Literature. 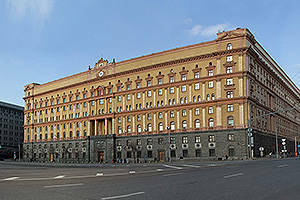 He was subsequently harassed and bullied, to the point where he and those close to him were under pressure from the KGB. One of his friends, Elizaveta Voronyanskaya, committed suicide after her flat was searched. In 1973, Solzhenitsyn’s novel “The Gulag Archipelago” was published abroad. 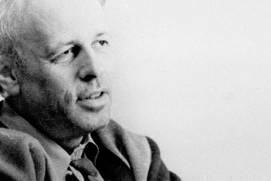 A. Sakharov wrote the following about it: “We were well aware of the endless cases of mass violence and unlawfulness in the world of GULAG and could imagine the extent of these crimes. Yet Solzhenitsyn’s book came as a shock to us”. 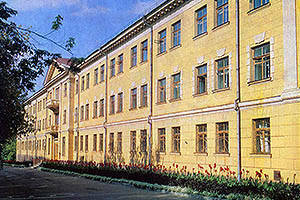 In the 1970s, Solzhenitsyn lived in Gorky streetRussian: ulitsa Gorkogo or улица Горького (apt. 169, 12, bld. 8, TverskayaRussian: Тверская str.). 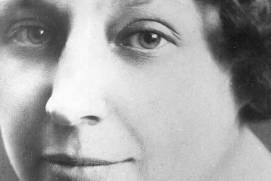 The writer’s widow Nataliya Solzhenitsyna recorded her memories of the house: “All our children were born here. He loved this flat a lot, and the courtyard too. But he was not allowed to receive registration in Moscow, and you could spend no more than 72 hours in Moscow without it. In just two days a policeman would come to say: “Get out of here”. So Alexandr Isyaevich spent most of the time outside the city and only came here for two days”. This flat in Moscow was sieged by indignant Soviet citizens during the time when Solzhenitsyn was harassed. On 12 February 1974, Solzhenitsyn was arrested, charged with high treason and deprived of his Soviet citizenship. He spent the last night before he was deported in Lefortovo prisonRussian: Lefortovskaya tyurma or Лефортовская тюрьма (5, Lefortovsky val streetRussian: Лефортовский вал). 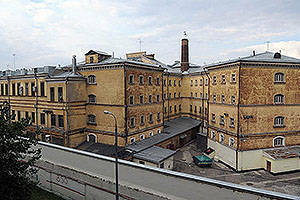 The Lefortovo prison was extremely secure, as it had initially been a military prison. Its layout looks like the letter “K”. There used to be small cells in it (2.3×3.5 m) with 2 to 3 inmates in each. Remand detainees and fixed-term prisoners were incarcerated there. 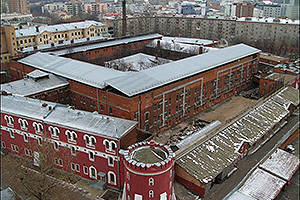 In the years of Stalin’s reprisals, the prison fell into disrepute, developing a reputation for its use of torture and executions by firing squad. The People’s Commissar of NKVDwas originally tasked with conducting regular police work and overseeing the country's prisons and labor camps, Nikolai Ezhov, who was one of the organisers of the reprisals, was executed here. Among its inmates were Leo Gumileva Soviet historian, ethnologist, anthropologist and translator from Persian, Yevgeniya Ginzburga Russian author, Vasily Stalinhe son of Joseph Stalin by his second wife, Nadezhda Alliluyeva and Raoul Wallenberg. 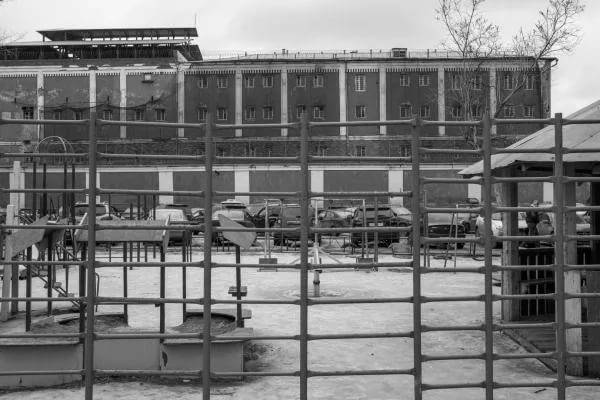 At present, the site is occupied by the Lefortovo Moscow pretrial detention centreRussian: sledstvennyi izolyator «Lefortovo» or следственный изолятор «Лефортово». On 29 March, 1974 Solzhenitsyn’s wife Natalia, together with their four children and her mother, followed Solzhenitsyn abroad. She was also deprived of USSR citizenship. At first they moved to Zurich but later settled in the USA. 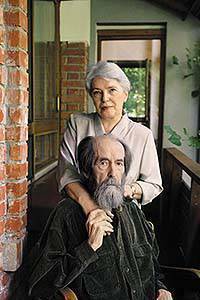 On 27 May 1994, Solzhenitsyn and his family returned to Russia. He travelled by train across the country and finished their trip in Moscow. 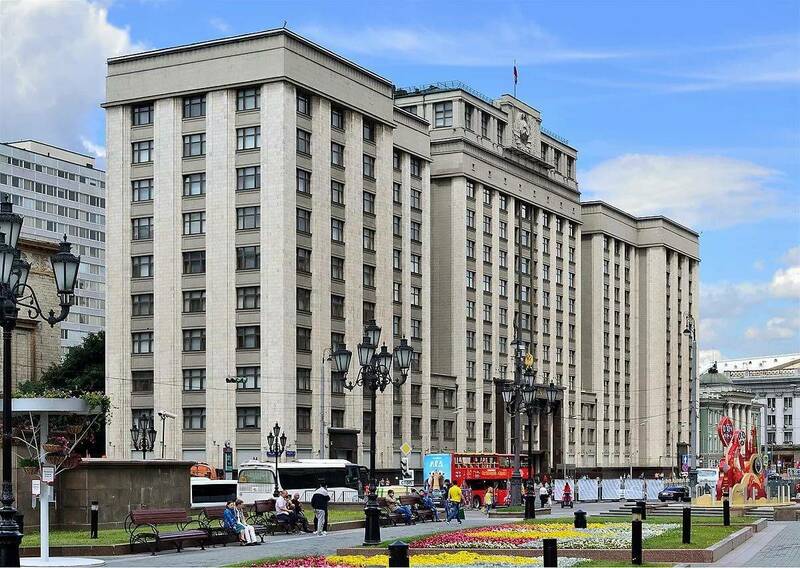 In the State Dumathe lower house of the Federal Assembly of Russia in Moscow (2, Okhotny ryadRussian: Охотный ряд) he addressed Duma members. 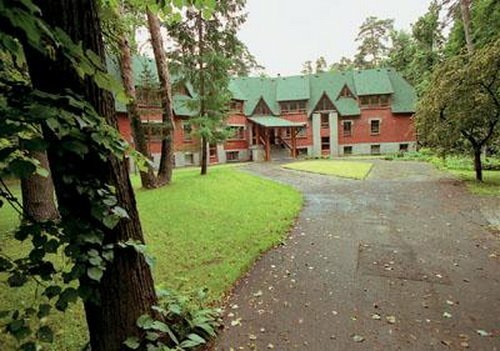 On the orders of President of Russia, Boris Yeltsin, he was granted the state summer house SosnovkaRussian: Сосновка-2 in a natural reserve outside Moscow called Troitse-LykovoRussian: Троице–Лыково (2, bld.2, 1st Lykovskaya strRussian: 1-ya Lykovskaya ulitsa or 1-я Лыковская улица.). Houses of many Russian high-ranking officials are located in this district of Serebryany Bora forest park in North-West Moscow. He was allocated a two-storey brick house complete with a big entrance hall and a glazed gallery. Solzhenitsyn furnished the living room with a fireplace, a concert grand piano, and a library on the ground floor. His study consisted of two spacious adjacent rooms on the first floor. He lived in the house from 1995 until his death. 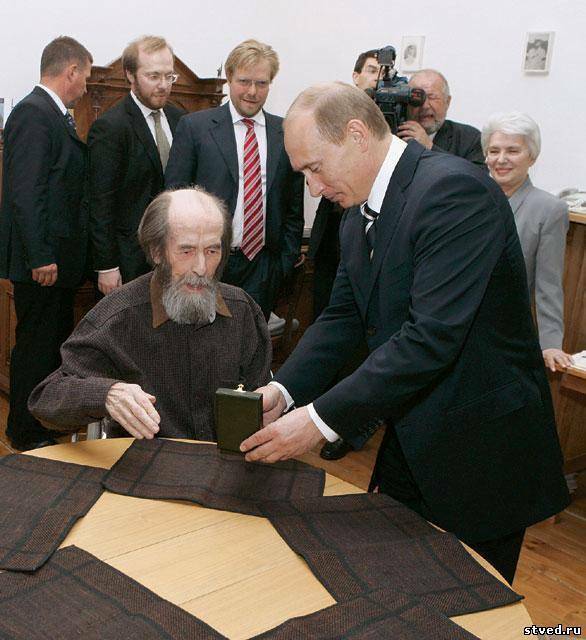 On 12 June 2007, president of Russia Vladimir Putin visited Solzhenitsyn in Troitse-Lykovo and congratulated him on his State Prize. On 3 August 2008, 89-year-old Solzhenitsyn passed away. 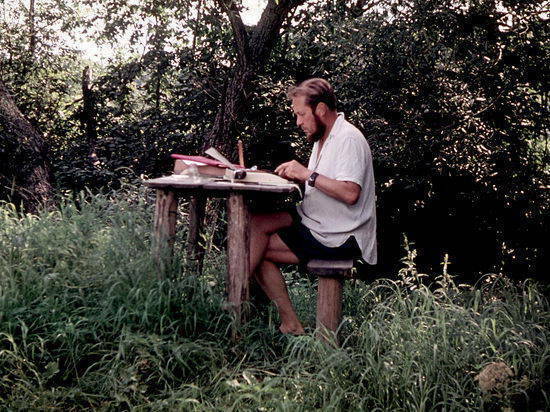 Solzhenitsyn continued to write until the last day of his life. 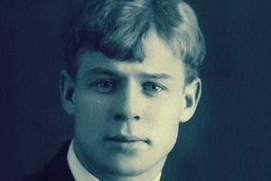 A farewell ceremony and a burial service for the writer were held on 5 August in the building of the Russian Academy of SciencesRussian: Rossiyskaya akademiya nauk or Российская академия наук (32a, Leninsky avenueRussian: Leninskiy prospekt or Ленинский проспект). The chairman of the Government of the Russian Federation V. Putin, former president of the USSR M. Gorbachev and others were present to mourn him. 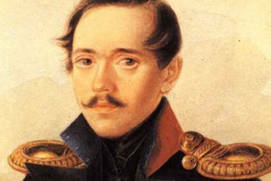 Alexandr Isayevich was buried with military honours at the Donskoy MonasteryRussian: Donskoy monastyr or Донской монастырь in Moscow (1, Donskaya SquareRussian: Donskaya ploshchad or Донская площадь). The place was chosen by the writer himself beforehand. 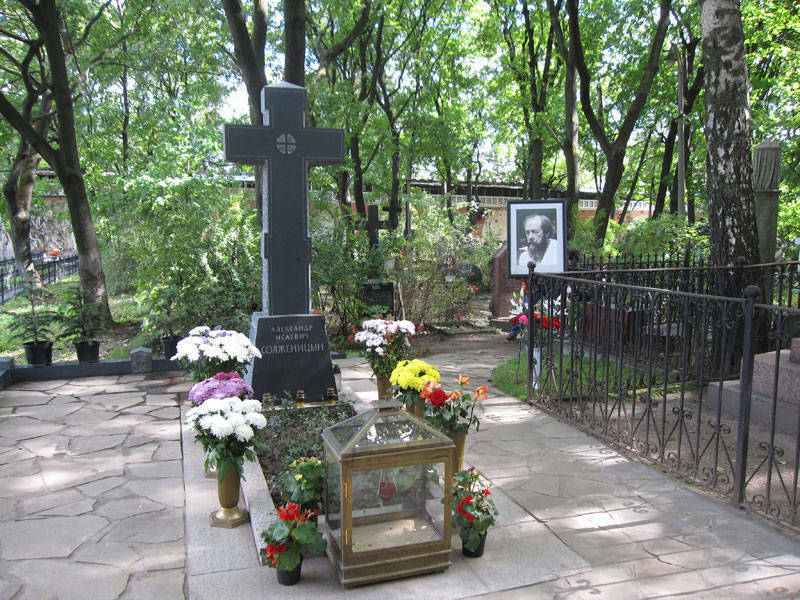 His tomb is situated not far from the Donskoy CathedralRussian: Donskoy sobor or Донской собор near historian Vasily Klyuchevsky’s tomb. The marble cross over his tomb was designed by sculptor D. Shakhovsky. 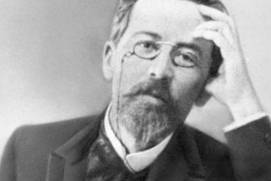 A literary award called the Solzhenitsyn Prize has been established in Russia to be awarded to writers. The scientific and cultural centre, the Alexander Solzhenitsyn House of Expatriate CommunityRussian: Dom russkogo zarubezhya imeni Aleksandra Solzhenitsyna or Дом русского зарубежья имени Александра Солженицына in Moscow (2, Nizhnyaya RadishchevskayaRussian: Нижняя Радищевская str., Moscow, http://domrz.ru/) founded in 2009. A street in the Tagansky districtRussian: Taganskiy rayon or Таганский район in the Central administrative district bear Solzhenitsyn’s name. At present, by order of the Moscow administration dated 2006, the Alexander Solzhenitsyn Russian Social FundRussian: Russkiy obschestvennyi fond Aleksandra Solzhenitsyna or Русский общественный фонд Александра Солженицына (http://www.solzhenitsyn.ru/fond/) has authority over his flat, with the intention of setting up a museum here. The Alexander Solzhenitsyn Fund was founded in 1974 by the writer himself with the money he earned from the royalties of his book, “The Gulag Archipelago” (these were earned abroad). Since 1974, the permanent president of the Fund has been Natalia Solzhenitsyna. 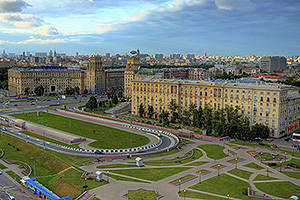 The Fund helps almost three thousand of Stalin’s forced labour camp prisoners who live in Russia and the CIS countries.